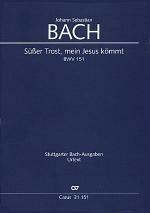 Cantata, BWV 151: Susser Trost, mein Jesus Kommt by Johann Sebastian Bach (1685-1750). For satb soli, chorus / keyboard. 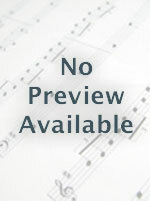 Cantata/Sacred; Choral; Original Works; Transcriptions. Baroque; Sacred/Hymns. Vocal score. Text Language: German, English. Composed 1725. Duration 20 minutes. Published by Masters Music Publications Inc. (MT.W7279-VSC). With Text Language: German, English. Baroque; Sacred/Hymns.